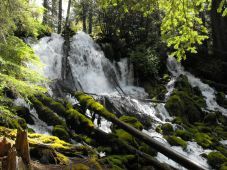 These Umpqua Waterfalls Photos show the beauty of the Umpqua River. 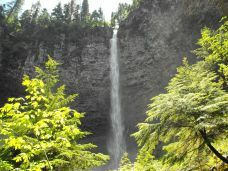 These four waterfalls are located north of Diamond Lake on Highway 138. 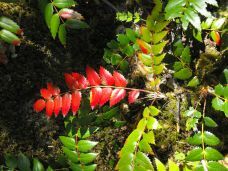 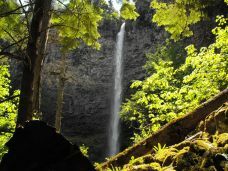 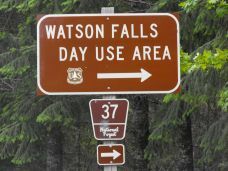 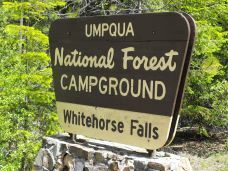 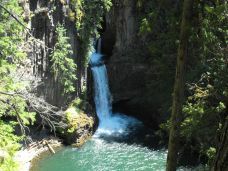 The four waterfalls are Clearwater Falls, Whitehorse Falls, Watson Falls, and Toketee Falls. 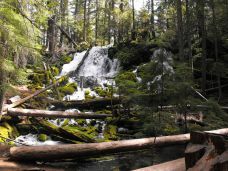 The first waterfalls - Clearwater Falls - are located on the south side of the road about 9 miles past Diamond Lake Resort. 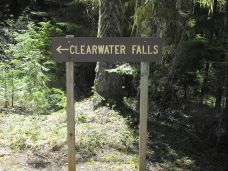 We like Clearwater Falls because it is our favorite picnic site. 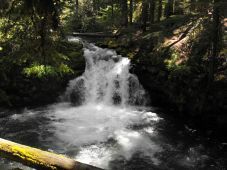 We can hear the roar of the water while we eat lunch. 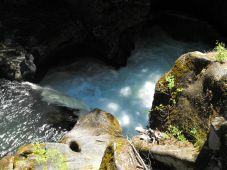 We like Whitehorse Falls because it is so tranquil and peaceful. 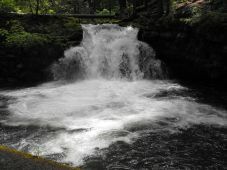 We like to watch the cascading water as it falls at Watson falls. 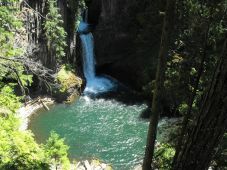 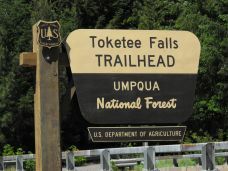 We like Toketee Falls because of the double falls and because it is so picturesque. 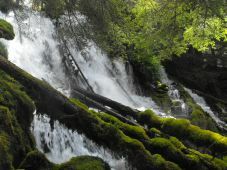 And, we like visiting all four waterfalls because it is a day trip from our home in Klamath Falls, Oregon. 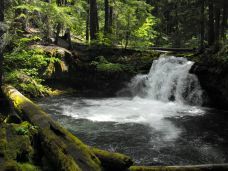 Return to the Klamath Photos Page from the Umpqua Waterfalls Photos page.